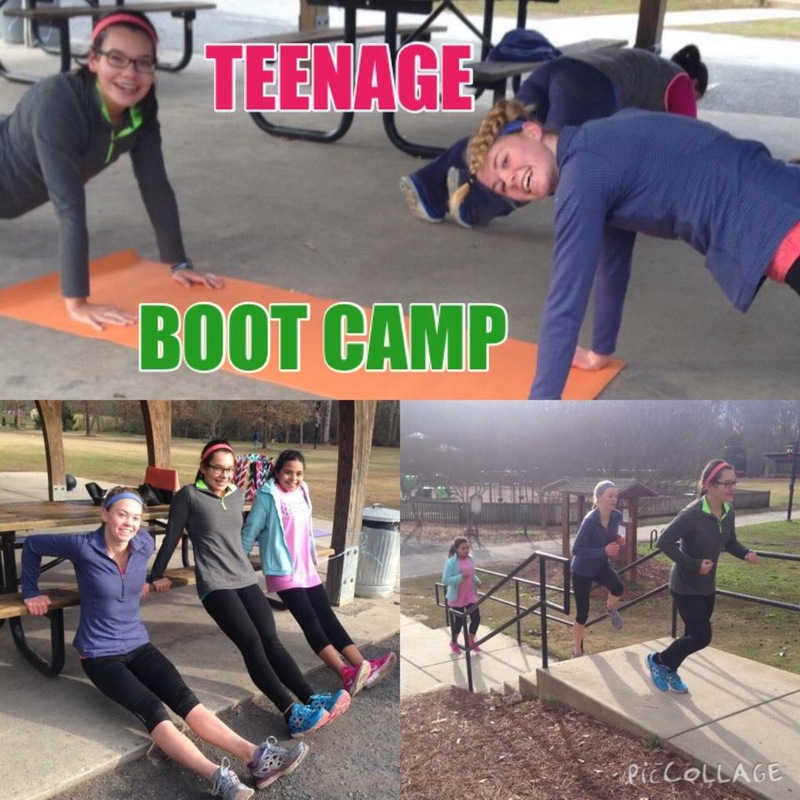 Boot Camp in the Park is a exercise group that meets 4 times a week at East Cobb Park and 2 times a week at Sweat Mountain Park. Campers of all levels are invited. Exercises consist of cardio and strength training. Saturday Classes are ONGOING • Buy a 5-Day Punchcard Today! You may come to ANY PARK, ANY TIME! ~ DOES YOUR TEEN WANT TO DEVELOP AN ACTIVE LIFESTYLE? ~ DO YOU WANT HER TO GROW IN SELF CONFIDENCE & FEEL BETTER ABOUT HERSELF? ~ WOULD YOUR TEEN BENEFIT FROM LEARNING ABOUT A HEALTHY LIFESTYLE? I can help!! My passion is exercise and I LOVE helping teens feel better about themselves! I am starting this program at Sweat Mountain Park 2 times a week from 5-6PM as soon as I have 5 girls that are ready! We will meet for 45 minutes of exercise, and after that, we will talk about exercise & nutrition. We will have goals & discuss them as we are exercising! My plan is to start late August or as soon as I have 5 or more girls! Please call or text with any additional questions!